WASHINGTON, D.C. — Covered California Executive Director Peter V. Lee released an in-depth report on Wednesday regarding the critical role that marketing and outreach play in promoting a stable individual health insurance market and making coverage more affordable. The report, “Marketing Matters: Lessons From California to Promote Stability and Lower Costs in the National and State Individual Insurance Markets,” was presented at a forum in Washington D.C. It provides an in-depth summary of research on the role of marketing health insurance, and analysis of the lessons Covered California has learned since first opening its doors. Covered California’s extensive marketing and outreach helped the state’s individual market have one of the best take-up rates and lowest risk scores in the nation . As a result, premiums were between $850 million and $1.3 billion lower than they would have been if the state had the national average risk mix in 2015 and 2016. Covered California estimates that every marketing dollar it has spent has yielded more than a three-to-one return on investment (ROI). Efforts to promote the value of coverage and the options available to consumers boosted the enrollment of healthy consumers and likely lowered premiums by 5 to 8 percent in 2015 and 2016. The report found that if the Federally-facilitated Marketplace (FFM) invested at a comparable rate to Covered California — which devotes 1.4 percent of the marketplace’s total premiums to marketing and outreach — it would invest $480 million, which is more than 10 times what the federal government recently announced it would spend to promote enrollment for 2018. The analysis finds that if the FFM invested at this level over three years, it would likely result in 2.1 million more Americans enrolling or keeping their coverage during this time, while decreasing premiums by an average of 3.2 percent, and generate a return on investment for the spending of about five to one. By contrast, the report details modeling of the potential impact of the announced 72 percent reduction in federal marketing and outreach funding. This lower level of marketing will likely result in 1 million fewer Americans getting insurance, and premiums that will be more than 2.5 percent higher. Lee noted that the money to support marketing and outreach for the 39 states in the Federally-facilitated Marketplace is available through the federal plan assessments that are collected for this purpose. They are projected to amount to $1.2 billion in 2018. Panelists at the forum included Kevin Patterson, CEO of Connect for Health Colorado; Christopher Graves, president and founder of the Ogilvy Center for Behavioral Science; and Janet Trautwein, executive vice president and CEO of the National Association of Health Underwriters (NAHU). Lee detailed the findings in the report with Christopher Graves, an expert on the behavioral science behind marketing and the challenges of convincing consumers to buy health insurance. “We just witnessed two huge disasters — hurricanes Harvey and Irma — and yet fewer than half the homeowners in high-risk flood zones had flood insurance. Getting young and healthy people to understand the invisible health care threats they face is even harder. Unfortunately, behavioral science reveals people are not rational when it comes to insurance. So we have to overcome these human biases with smart outreach,” said Graves. Janet Trautwein, whose organization represents more than 100,000 employee benefits professionals across the country, echoed the importance of marketing to sell health insurance. “When health insurance exchanges support the people on the ground who sell policies, they can be vital partners in attracting more consumers to exchanges and ensuring that the risk mix is strong,” she said. 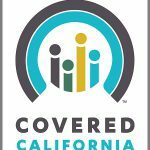 A high-level overview of the report and modeling can be found here: http://hbex.coveredca.com/data-research/library/CoveredCA_Marketing_Matters_Issue_Brief.pdf. Covered California recently moved to increase its marketing and outreach budget by $5.3 million, to a total of $111 million for the upcoming 2018 coverage year. In addition, last week Covered California announced its 2018 plans and rates for Covered California for Small Business (http://news.coveredca.com/2017/09/covered-california-for-small-business.html). “The fact that Covered California for Small Business announced rate increases of less than 6 percent for 2018 is further evidence that the challenges facing the individual markets are solvable and are being fostered by the uncertainty nationally,” Lee said. Covered California will wait until Sept. 30 to decide whether its health plans must add a cost-sharing reduction surcharge to Silver-tier plans. The board adopted new contract language to provide carriers with guidance on how to address unanticipated losses or gains due to changes in existing federal policies or other uncertainties. The board approved a $5.3 million increase to Covered California’s marketing and outreach budget for 2018, for a total of $111 million. Covered California plans to use the extra marketing funding to increase the number of television and radio ads around key dates throughout the upcoming open-enrollment period, which in California will not be the shortened period of the Federally-facilitated marketplace (Nov. 1 through Dec. 15). Instead, we will continue with the three month open enrollment period, from Nov. 1 through Jan. 31. “Open enrollment is the time to change lives, and we stand ready with our partners across the state, including 14,000 Certified Insurance Agents, to spread the word about the coverage that is available and the financial help that can bring that care within reach,” Lee said.